School teaches that 1 + 2 = 3, but A + B may not inevitably cause C.
Logic, Webster’s defines the word as a science that deals with the principles and criteria of validity of inference and demonstration : the science of the formal principles of reasoning. Logic is said to be a science and science itself is a methodical process of discovering and using facts to arrive at conclusions. The two are symbiotic. 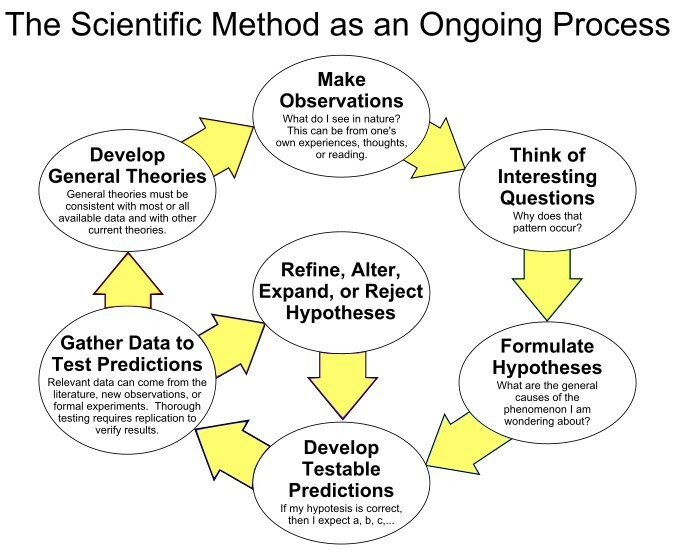 The Scientific Method is a set of procedures used to arrive at fact based conclusions or theories. The procedures rely on checks to ensure accuracy and to continue to expand and explore any knowledge gained. So what happens when science is corrupted in order to legitimize a theory or conclusion using false logic. There is a name for that as well, logical fallacy. Logical fallacy is a “science” unto itself. Simply it is faulty reasoning and quite easy to do. People engage in logical fallacy quite frequently. All one need do is pick any social media website or many news or informational outlets and logical fallacy is frequently in play. Often it is employed to further an agenda or point of view while disregarding evidence to the contrary. As a home inspector, I rely on facts to provide information and reasoning for my conclusions for the benefit of my clients. For example, a common defect discovered during a home inspection is a deck that is not bolted or otherwise properly secured to the house structure. There are several pieces of evidence (building codes and examples of deck failures) that I can use to justify my stating it is a potential danger and that there are required methods of fastening a deck to the structure. The evidence is empirical and can not be disputed. While fact based conclusions can often be derived in the context of a home inspection, there are instances where the waters are muddied by the use of logical fallacy. Specifically regarding mold. Mold has bloomed into a multi billion dollar industry of testing and remediation of what has been claimed to be a serious health hazard. While it is indisputable that there are individuals who are sensitive to molds, the facts on its health effects are largely inflated or taken out of context to fit an industry narrative. One common “justification” of the validity of mold testing (actually sampling) and the remediation based on those tests goes something like this. An individual or family is experiencing health issues, sickness while in their home. They think perhaps their illness is due to the presence of “toxic mold”. They believe this because of the plethora of information they were able to find on the internet. Their physician may have also suggested the same to them. They contact a company to test their home for mold. The tests come back showing that mold is indeed present (mold is everywhere), some of it is said to be the “bad” kind. A remediation is performed and everyone gets better. While all this sounds logical, it is a Post Hoc Fallacy. Simply, Since event Y followed event X, event Y must have been caused by event X. This logic uses correlation to prove causation. The scenario described ignores numerous factors to arrive at this conclusion. First is that mold is a symptom of the presence of excessive moisture. 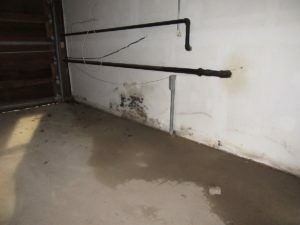 Often the source of the moisture is located and repaired during a remediation. So removing or repairing the source of the moisture, which caused the mold to flourish, has corrected the health issue. What is also not delved into typically is that mold is just one known irritant present in damp environments. The report does acknowledge that mold and other factors have been linked to health related issues in sensitive and healthy individuals. Going back to my scenario, the other factors are typically not explored, which makes the conclusion false. 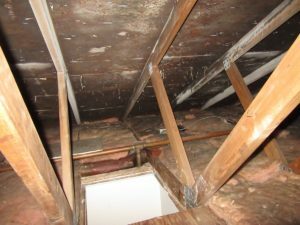 The reason the individual or family got better was that the excessive moisture issue was resolved and the dwelling was cleaned up and that is always the desirable end. So was mold testing necessary in my scenario? Probably not. Discovering if excessive moisture is present and its source can typically be determined by trained specialists. What agent is specifically causing an illness is usually, although not always, immaterial. When testing is thought to be necessary, it would be sensible to conduct indoor air quality (IAQ) testing where the presence of a broad range of biological and chemical agents would be sampled for, not only molds. Testing of this nature would be done by highly trained individuals such as an industrial hygienist, not the very minimally trained mold sampling companies that can be readily found by a Google search. While it is true that molds can cause health issues in some individuals, it would seem the bulk of readily available information that can be found is based on logical fallacy, uses flawed scientific methods and or can be described as fear based misinformation. One should always be skeptical of information that uses fear to drive a point. One very important fact should be kept in mind when ever mold is discussed as the probable cause of health issues, it’s moisture, not mold that is ultimately responsible. Great article. I get so tired hearing about “toxic mold”. Jim, This is spot on. James --- Thank you for the recent, very thorough home inspection. We found the effort you put into the inspection and your report to be most professional and gave us great confidence in your findings. We purchased three homes in the past. We wish we had known you then. You can be assured that we will recommend you to others if we can. Thank you again,"
The inspection conducted by JRV more than met our expectations. An extremely thorough and professional job. The inspector, Jim Quarello, proved to be quite knowledgeable about the various systems in the home; and he gave us a comprehensive education of all facets of the home and the inspection process. For us, the purpose of the home inspection is to be sure that the home you are considering purchasing is a worthwhile investment. Jim's thorough work left us with a great sense of comfort. After watching Jim conduct the investigation and explain the results, we knew that, if anything in the house were not up to speed, he would've uncovered it. We enthusiastically recommend Jim's services.